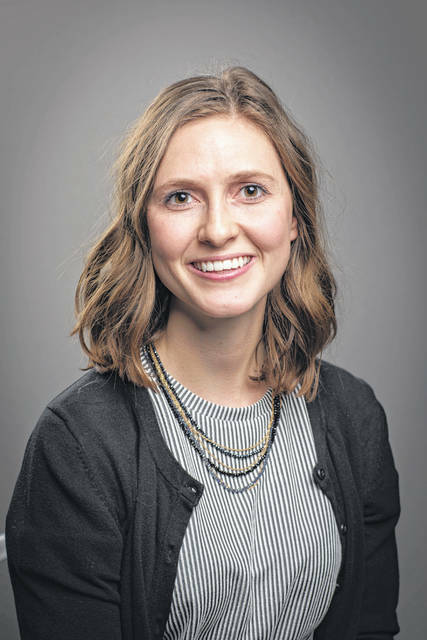 COLUMBUS — Sarah Steinbrunner, of Anna, Ohio, has been named a 2019 Distinguished Senior at The Ohio State University’s College of Food, Agricultural, and Environmental Sciences (CFAES). Steinbrunner, a food science and technology major from Shelby County, Ohio, will be honored at an on-campus awards dinner on March 27 where all 25 distinguished CFAES seniors will be recognized. The CFAES Distinguished Senior Award honors academic, disciplinary and professional excellence. In 2018, Steinbrunner developed Beannut Butter, a garbanzo bean spread that is free of the eight most common allergens. It won Ohio State’s Best of Student Startups competition, was a regional finalist for the Global Student Entrepreneur Awards, and was one of two winners of the Ohio Signature Food Contest, sponsored by the Ohio Farm Bureau Federation and the Center for Innovative Food Technology. Her innovative food product is now available on Amazon. Steinbrunner also served for three years as a peer mentor for both the Ohio State Scholars program and the Food Science and Technology program. She was a member of the Dunn Scholars leadership council and helped foster students’ relationship and leadership development. Steinbrunner is a current member of the Institute of Food Technologists Student Association (IFTSA) and the Food Science Club. In 2018, she was a member of national first-place Ohio State team that won the IFTSA and MARS Product Development Team Competition. The team’s development of their Banzo Bites chickpea wafer snack fueled her entrepreneurial zeal, she said, which allowed her to combine her passions for nutrition, science and cooking with a love of creativity and helping. Steinbrunner interned as a quality control technician and a research and development specialist with Agrana Fruit U.S. in Botkins, Ohio, and The J.M. Smucker Company in Orrville, Ohio. There she ran analytical tests, participated in microbiological testing, auditing and sensory testing, which helped solidify in her mind that she was in the right field. After graduation, Steinbrunner plans to work in research and development for a food company in Columbus. At the same time, she said she wants to continue growing her Beannut Butter business and hopes she can eventually earn her living from it.